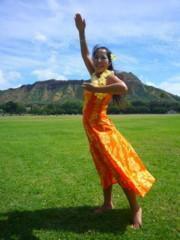 Halau Hula ‘O Nawahine in Japan 静岡富士校は今春、創立10周年を迎えます。 それを記念して10年間ではじめてのHo’ikeを開催します‼️ * 【Halau Hula ‘O Nawahine in Japan 静岡富士校 創立10周年記念公演】 2019.6.30 (日) 12:30 開場／13:00 開演 静岡県富士市 ロゼシアター 小ホール * 【チケット】前売 1500円／当日 2000円 全席自由 * チケット販売は今月末〜4月からスタートします！ この日のために、1年前からみんな一丸となって猛練習中です👍✨生徒一人一人の勇姿をぜひ会場でご覧下さい！ * * Halau Hula ‘O Nawahine in Japan, Shizuoka will pass it's 10th anniversary this year. We will celebrate our anniversary and hold our FIRST Ho’ike on June 30th 2019. * 2019.6.30 (SUN) 12:30pm Door Open/1:00pm Start @ Rosé Theater (Shizuoka, Fuji-city) Ticket🎫 Advance 1500yen/ Door 2000yen All Open Seating * Ticket sales will start from end of March or beginning of April.